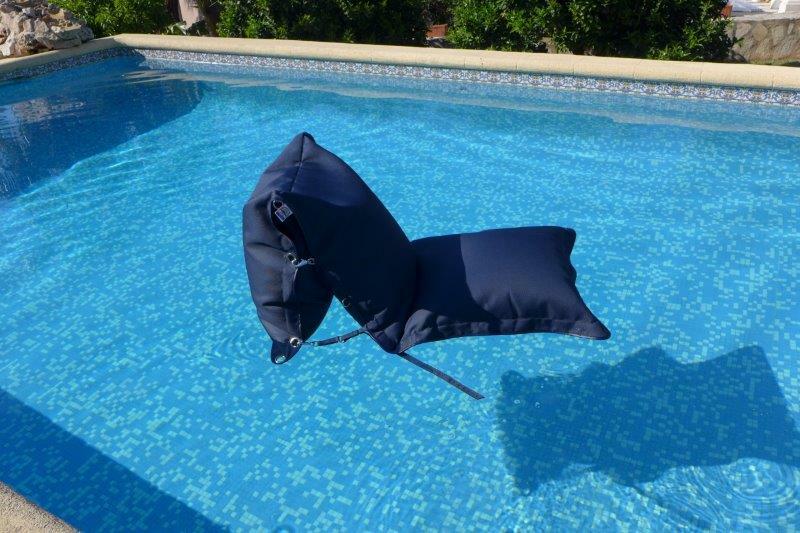 Relaxing between pool and sunlounger – with only one cushion! after one season. A unique, newly developed cushion, patented and exclusively manufactured and marketed by myself, offers you a variety of different ways to use it. The versability of this cushion is impressive. 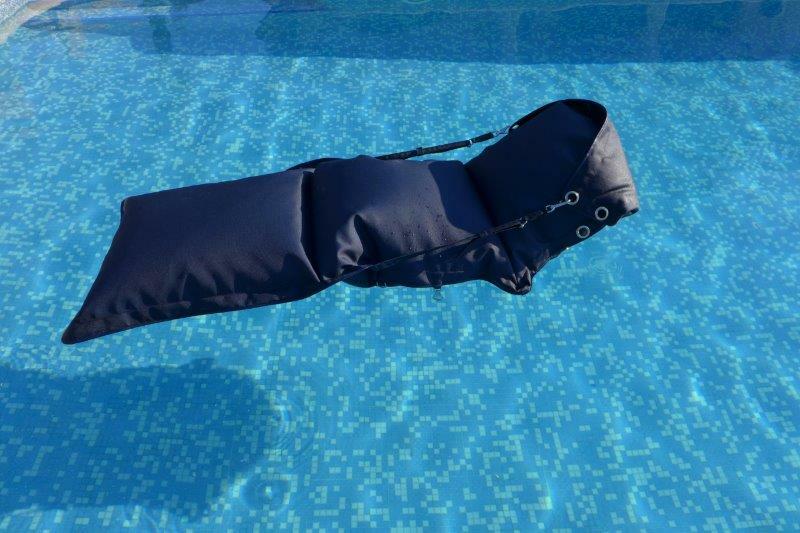 It does not only look attractive, but it is very comfortable, too – a perfect replacement of the air mattress for keen swimmers and sunbathers. And should you prefer your underlay a little bit harder or softer, you will find your comfort zone by adapting the filling material through the corresponding opening closed by zippers and velcro fastener. The filling consists of a rot-proof polyester granulatefilled separately into each of the chambers of the cushion which adapts perfectly to your body – both in the water and ashore. The water runs straight down the material like passing through a filter. This prevents it from collecting in between the fabric and the granulate. This technique avoids the collection of dirty water, too, and excludes rotting. With this equipment the cushion can be kept outside – even in the rain. Furthermore, the fittings are made of rot-proof stainless steel. 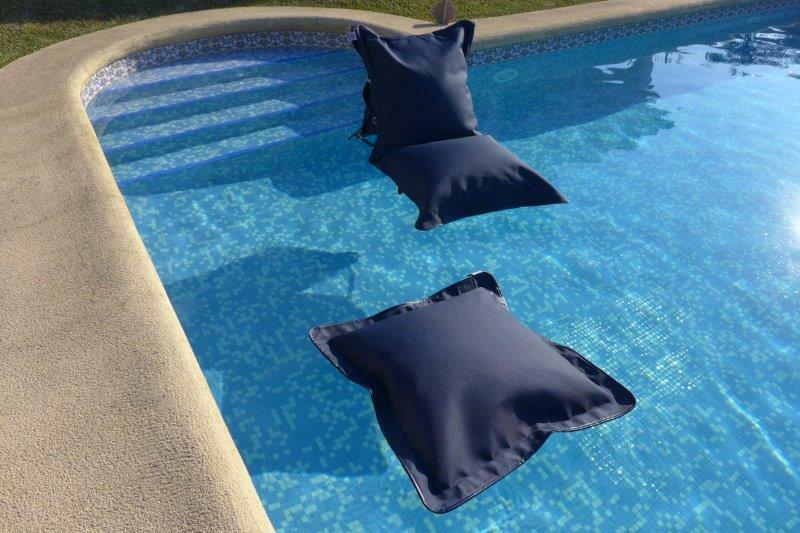 Cushion for sunbathing on the beach, in the garten or near the pool.